McCarthy & Associates challenge was to complete eighteen apartment units in two semi-detached three storeys over basement blocks, which were nearing completion when work was stopped in early 2008 and the development closed up. Design team certification had not been attained in order to facilitate sale of the units. On instruction from the Receiver, McCarthy & Associates contacted the original consultants to negotiate attainment of the required certification. An initial inspection of the development was completed and the outstanding works were identified. These works were developed into a tender package and issued to the market for competitive pricing. On selection of the preferred contractor, an agreed schedule of works was completed in order to finish the apartments suitable for sale. 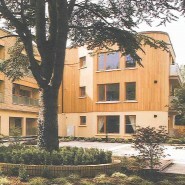 The apartments were completed within programme and on budget. The relevant certifications were obtained and we understand that all apartments have now been sold.